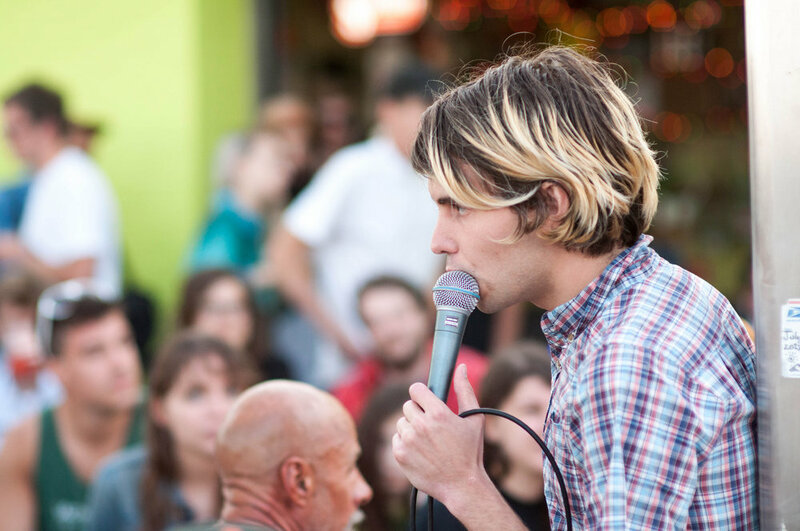 Joe of Big Ups performs at Rippers at Rockaway Beach on Saturday, August 17, 2013. The show was free for attendees but donations were accepted for Restore Rockaway, a non profit created to help small businesses affected by Hurricane Sandy. More photos from the show are available on Impose Magazine and Flickr.